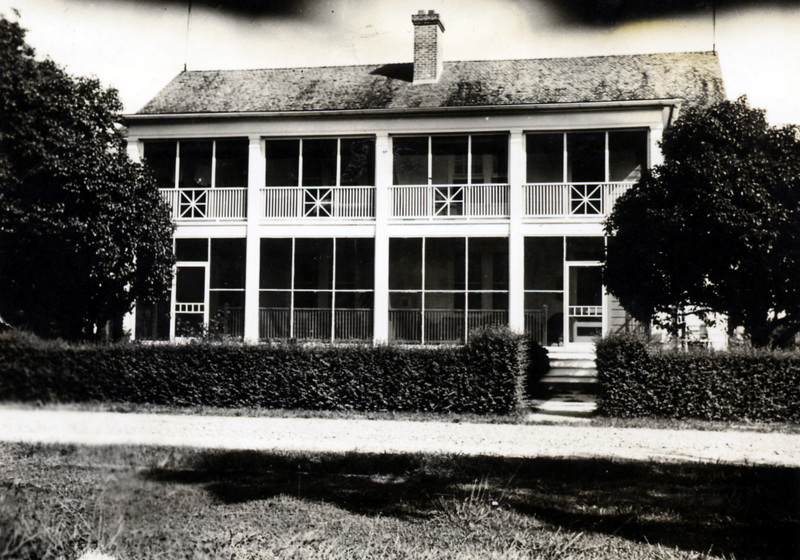 The State of Louisiana ran this 450 acre site as the Louisiana Leper Home from 1894 to 1921. In 1921, the Federal Government purchased the site for $35,000; the patient census was about 300. The United States Public Health Service (PHS) took operational control and the 'Home' became the United States Marine Hospital Number 66: The National Leprosarium. The PHS’ mission is to protect, promote, and advance the health and safety of the US. To your left are 2 streets of staff residences built for PHS employees. Over 100 residents lived on the staff side of the hospital. Today, the Louisiana National Guard and their families live here. To your right (3 o’clock) is Carville’s museum, established in 1996. Originally, the building served as the staff cafeteria. The hospital grounds were divided between “Staff” and “Patients” sides. This small, planned community had 2 of everything — laundries, residential areas, golf courses, cafeterias, movie theaters and infirmaries — one for staff and one for patients. Leprosy, or Hansen’s disease, was a highly stigmatized disease, and thought to be highly contagious. It is not. Not one of the medical personnel working at the Leprosarium has ever developed the disease. But there was no viable treatment until the 1940s, so fear prevailed. From the 1890s until the 1940s, outside vendors did not want to deliver materials here for fear of accepting “infected” money. Even the resident electrician, who fixed patients' broken radios on the side, “washed” the dollar bills given to him by patients. His wife would pin the bills to the clothes line behind their house on 2nd street. The building in front of you, to the right with the turquoise trim, is a gravity filtration water treatment plant built in 1923. Water was pumped in directly from the Mississippi. Today it is a distribution point only. Carville also built its own electric plant a block down the road from the water plant. It produced direct electrical current from 1916 until the 1950s, and then became AC. And it generated steam heat to warm the hospital in the winter. On the east side of the electric plant was the ice house where residents could pick up a “block of ice for their ice-boxes. In the summer months, the ice house also served ice cream. Today, the plant distributes electricity only. As you drive to your next stop, look back to the right and you will see the venting tower for the electric plant. Stop 3 is ahead a couple of hundred feet, near the 4-way stop sign. 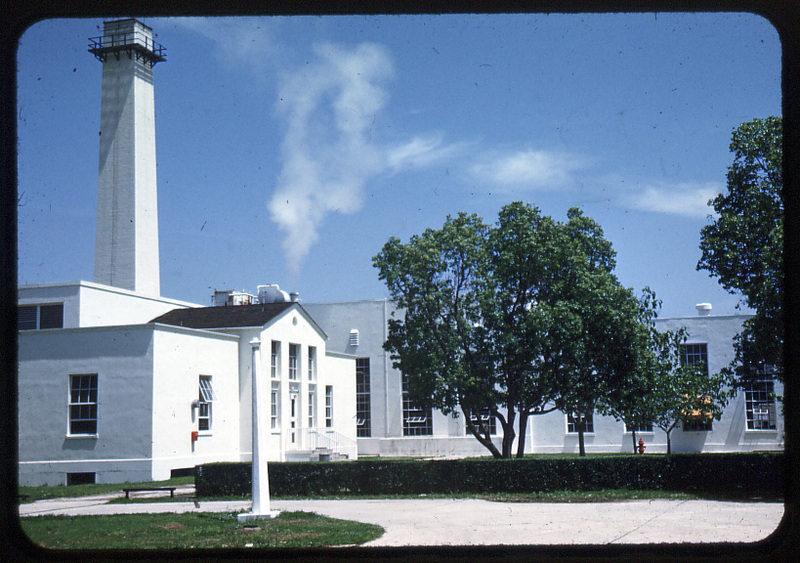 Power Plant, National Leprosarium, Carville, Louisiana. Image Courtesy of the National Hansen's Disease Museum, Permanent Collection. Carville, LA. 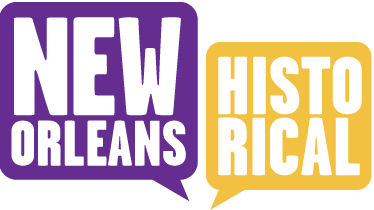 : Power was first generated on site in 1916 when the hospital was run as the Louisiana Leper Home under the State of Louisiana. Coal was burned for heat and to produce electricity. 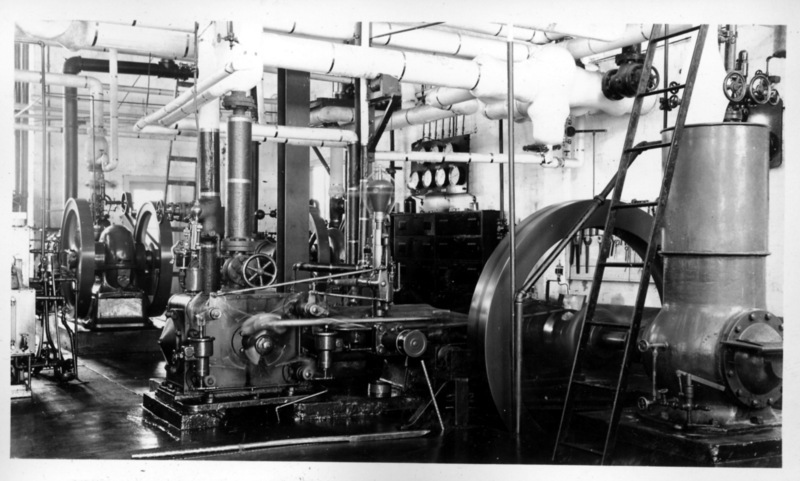 The federal government upgraded the Power Plant to run on fuel oil in the 1920s. All patient dormitories and staff residences were heated by steam generated on site. Medical Staff at the National Leprosarium,1940s. Image Courtesy of the National Hansen's Disease Museum, Permanent Collection. Carville, LA. : Dr. Guy Faget (center front) Medical Officer in Charge of the leprosy hospital (1940-1947) poses with his medical staff in front of the Infirmary. 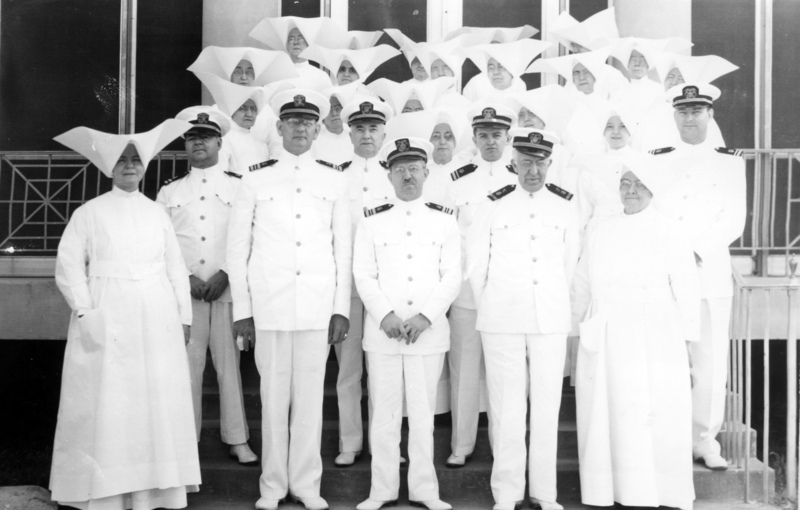 All members of the United States Public Health Service at that time were male, and all members of the nursing staff were Daughters of Charity, a Catholic nursing order. Staff Dining Hall, National Leprosarium. Image Courtesy of the National Hansen's Disease Museum, Permanent Collection. Carville, LA. : Built in 1940, this building served as the staff dining room for the employees of the United States Public Health Service Hospital, the National Leprosarium. Commissioned Corps Officers of the USPHS and Civil Service employees had separate designated seating. Before the 1950s, black and white areas were segregated. The Daughters of Charity, who lived in quarters next door, took their meals separately. Patients had their own dining hall. 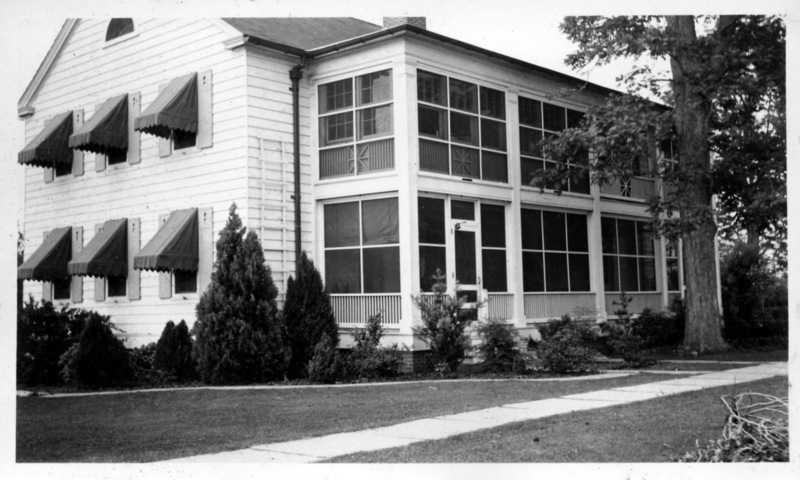 It wasn't until 1984 that a combined community dining hall was built to accommodate both staff and patients. Today the National Hansen's Disease Museum is located in this building. Staff duplex, National Leprosarium, Carville, Louisiana. Image Courtesy of the National Hansen's Disease Museum, Permanent Collection. Carville, LA. : This is one of 8 duplexes built to house the staff of the National Leprosy Hospital at Carville. There were 3 streets of staff housing. 1st Street housed the doctors of the USPHS and their families lived. 2nd Street housed the chief Civil Service employees and their families. Second tier Civil Service employee resided on 3rd Street. The hospital director, called the Medical Officer in Charge, lived in a single family home on 1st Street, as did his second in command. In the 1920s, when the federal government took operational control of the hospital, World War I barracks were moved on site to serve as staff housing and weren't completely replaced for several decades. Water Treatment Plant, National Leprosarium, Carville, Louisiana. Image Courtesy of the National Hansen's Disease Museum, Permanent Collection. Carville, LA. : In the earliest days of the Louisiana Leper Home, cisterns collected water for use by the staff and patients. 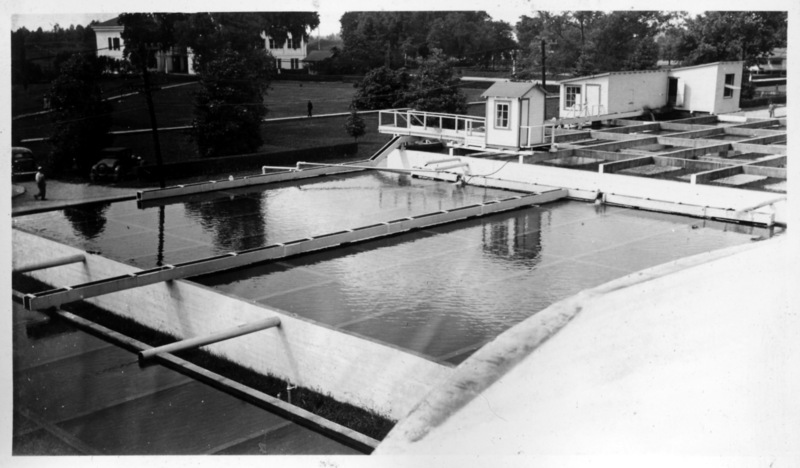 When the federal government took over operational control, the water supply was upgraded with a filtration plant. 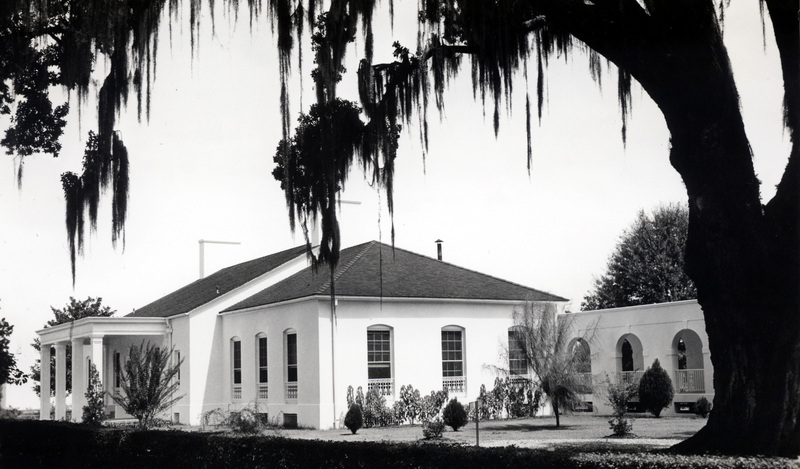 After the 1920s, the hospital at Carville could provided its own fresh water supply from the Mississippi River. A pumping station and pipeline from the River brought water into the sand and gravel filtration treatment plant several blocks away. Later on, several wells dug on the 400 acre site provided water for the plant. After several well failures in the last decade, the water system was tied into a local municipality. Since the mid-2000s, the water plant has been used as a distribution point only. Carville's water treatment plant. Image Courtesy of the National Hansen's Disease Museum, Permanent Collection. Carville, LA. 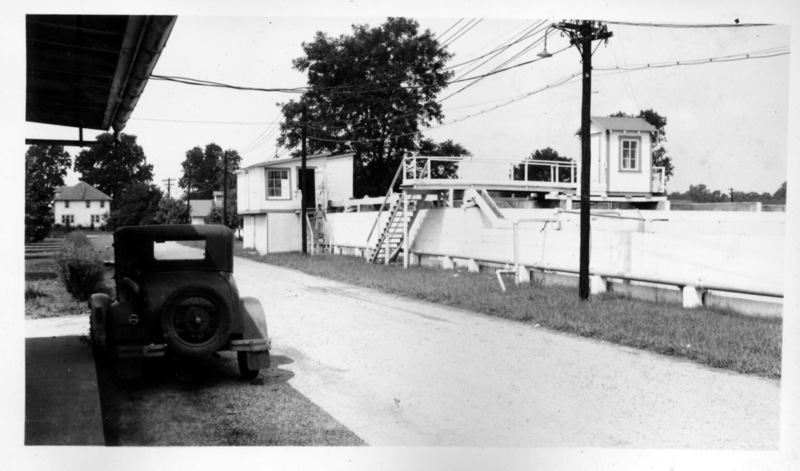 : Water treatment plant seen from vantage point: foreground front left, cold storage building (no longer exists); background left, staff residential area. Carville federal staff housing: 2-story duplexes. Image Courtesy of the National Hansen's Disease Museum, Permanent Collection. Carville, LA. : In the 1930s, eight 2-story duplexes were built on 1st and 2nd Streets for residential staff of the National Leprosarium. 1st Street was reserved for doctors and their familys; 2nd Street was reserved for the chief engineers who kept the utilities running. The duplexes still stand on site and are now reserved for the LA National Guardsmen and State of LA employees who work on site (Gillis W. Long Military Center). Staff Swimming Pool: The National Leprosarium. Image Courtesy of the National Hansen's Disease Museum, Permanent Collection. Carville, LA. : This staff-only swimming pool was built in the 1920s when the US Public Health Service took operational control of the facility. 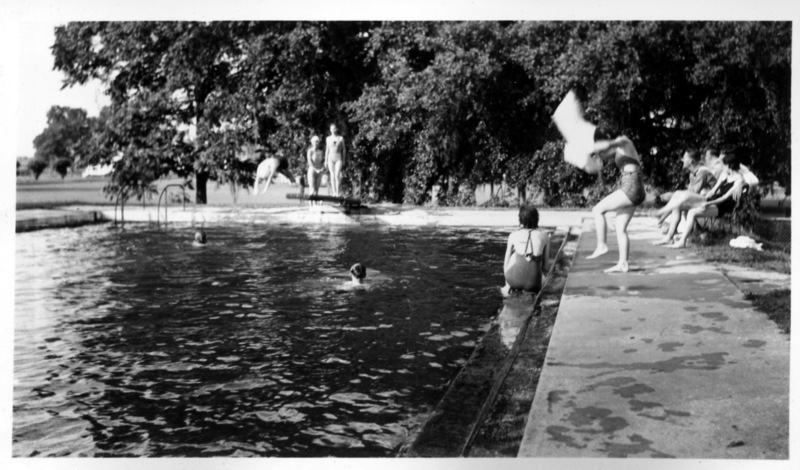 In the 1960s-1970s, some of the young patients, upon graduating high school at the hospital school, began a tradition of "crashing the pool" after hours to celebrate their transition and flout the restrictive rules. Elizabeth Schexnyder, Curator, National Hansen's Disease Museum, Carville, LA, “Federal Staff Housing, Site Utilities, The National Leprosarium,” New Orleans Historical, accessed April 24, 2019, https://neworleanshistorical.org/items/show/808.